The Capacity Building Marketplace (CBM) presented the UNCCD Secretariat's exposition at the recently concluded Subsidiary Bodies Session 48 (SB48) of the United Nations Climate Change (UNCC) held at the World Conference Center in Bonn, Germany, from 30th of April to the 4th of May. 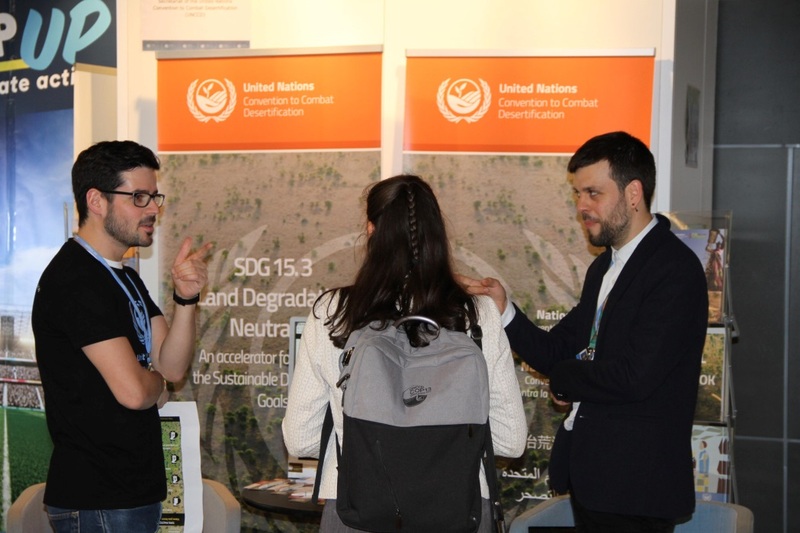 On 11th of October 2018, students from Bonn University, pursuing the Masters in Agriculture and Economics, visited the UN in Bonn where they were the guests of The Secretariat United Nations Convention to Combat Desertification (UNCCD). They also met with UNESCO - UNEVOC and the United Nations Volunteers. A Panel Discussion was also held where students and panelists had the chance to discuss the importance of agriculture to the implementation of the UNCCD and Agenda 2030.